SkyCiv offers the power of traditional engineering software right inside your web browser. This means you can use any device with access to internet and a web browser and move seemlessly between desktop, laptop, tablet, and phone. All your files are saved within your cloud based account so you're not tied to any one device. You might not think your phone or tablet would be powerful enough to process our software but the truth is that most of the computationally heavy calculations are done on our remote servers. This means your device is only handling graphics and interactions. Modern phones and tablets are more than capable of handling this if you require engineering calculations on the move. We offer a suite of software programs including SkyCiv Beam, Truss, Frame, Shaft, Structural 3D (S3D), Section Builder (SB), and our new API. 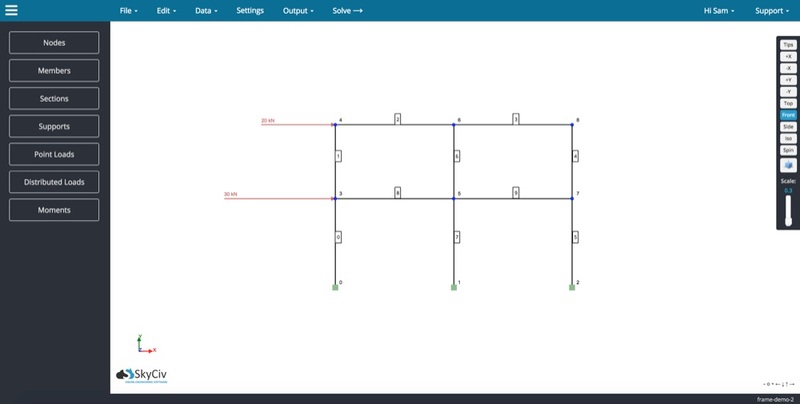 SkyCiv Beam is an easy to use yet powerful analysis tool for single member horizontal beams. Load up your beam, add a section, and apply supports to solve for reactions, shear force diagrams, bending moment diagrams, deflection, and stress analysis. Your results are presented in a clear and interactive way, with hand calculations available to validate results, and a way to create report outputs to be saved in your own record keeping system. SkyCiv Truss will solve the reactions, bending moment diagram, shear force diagram, supports and deflection of pin supported, two-force members. SkyCiv Frame will solve the reactions, bending moment diagram, shear force diagram, supports and deflection of fully fixed frame members. SkyCiv Shaft is a shaft analysis software. 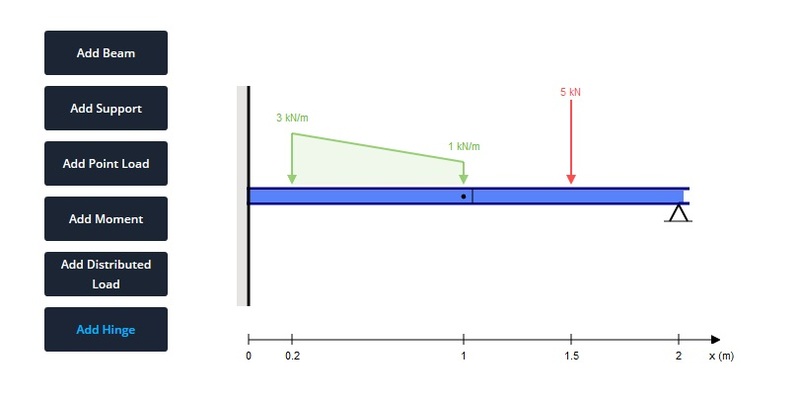 Model the steps of your shaft, specify bearings and apply loads to solve for a variety of results. These include reactions, shear force diagrams, bending moment diagrams, deflection, stress, shaft mass, critical speed, and power of the shaft. 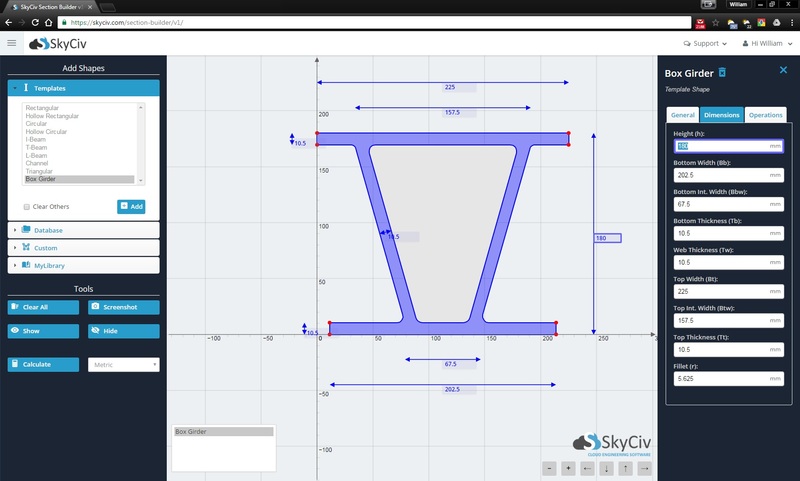 SkyCiv Structural 3D is a full 3D structural analysis software for multiple interconnecting members and plates. It allows you to analyse shear, bending, deflection, stress and more. 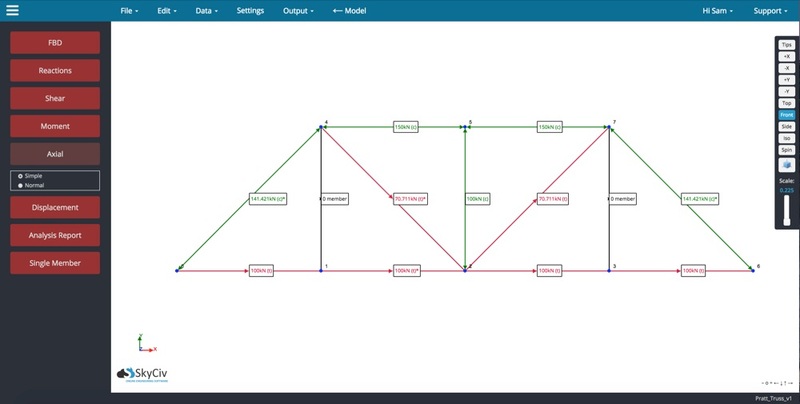 Build your model and analyse your structure faster than ever. Custom reports are able to be outputted to be saved in your own record keeping system as well. SkyCiv Section Builder is a comprehensive section property analysis software. Solve your cross sections for geometric, bending, shear, and torsion properties. Build your sections out of multiple shapes from templates, or define your own via points, line paths, or a DXF import from CAD. Model and analyse your sections faster than ever.